This is a recipe for that classic rich and creamy hot cocoa. It contains our Bourbon Vanilla Beans and Gourmet Baking Cocoa. Top it some vanilla bean whip cream to heat up the holidays. 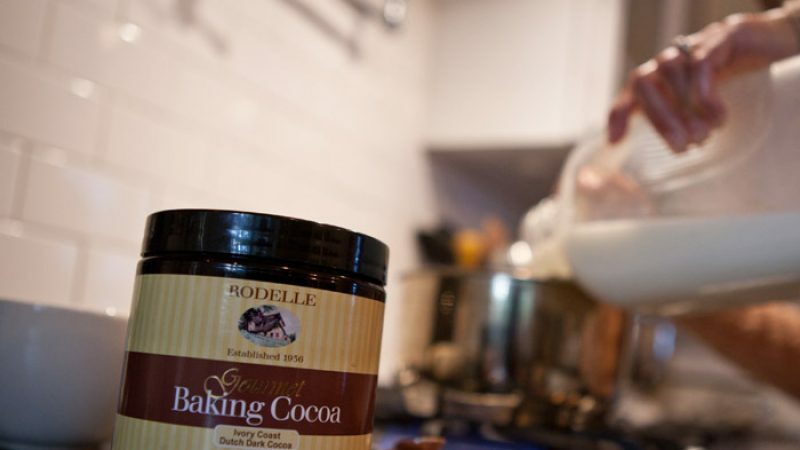 Place the Rodelle Gourmet Baking Cocoa and sugar in a saucepan; mix to combine. Gently pour in the heavy cream and milk to combine. Bring to a soft boil; whisking constantly. Carefully pour into six mugs and top with whipped cream.